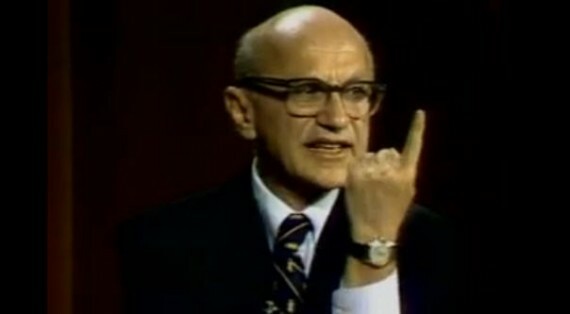 Milton Friedman always wanted to make the welfare state slightly less perverse. He wanted to make education slightly less statist. He proposed vouchers. Supposedly, this was going to lead to greater parental choice. The scheme was nuts from the beginning. No school district ever adopted it. It was fantasy economics, politically speaking. It was designed to make the fascist system slightly more efficient, slightly less overbearing. It was never a serious proposal to restore liberty in education. It always involved stealing money from taxpayers in order to transfer it to educational bureaucrats. There is no way to make that system just. That is theft from day one. There is no way to make a system based on theft into something favorable to freedom. I said this from the beginning. I wrote about this in 1976. Friedman didn’t respond until 1993. But I got to answer his response. It is posted here. We don’t need vouchers to fix the educational system. We need profit-seeking education, or free online education. We don’t need federal loans for education. We should let the monstrosity sink into the tar pits of bankruptcy. Friedman spent his whole career devising schemes to make the fascist state slightly more efficient. He was the great promoter of the earned income tax credit. It was just another form of welfare. Every time that Freeman recommended a way to make the fascist state less of an oppressive burden, he betrayed liberty. He spent his whole life doing this. He wanted to make the income tax less burdensome, so he provided justification for income tax withholding. As a result, the public wound up paying four times as much to the government as it did before withholding began. The way to fight the fascist state is to show that it is inherently morally corrupt, and that any attempt to make it slightly less corrupt is simply putting the monstrosity on life support. Let it go belly-up as soon as possible. Anything that cuts its funding is a good idea. Anything that embarrasses it is a good idea. We should never try to reform the welfare state. We should seek only to bankrupt it. Like many so-called libertarians, Friedman was a mechanic for the state. The state doesn't need to be tweaked, it needs to be smashed. Friedman never did this when it counted. Few have the courage to consistently advocate positions that move in the direction that truly shrinks government. Mises, Rothbard and Hazlitt are among the few that come to mind that did. Plenty, however, rush to get praised by the state and its operatives. In the grand scheme of things, such praise is worse than experiencing a long burst of halitosis smacked up against one's nose and face. 1. Yes but... there was multi-episode PBS special promoting Friedman and his better ideas. Did they ever do that for Rothbard? 2. My oldest daughter complains that people can't tell when I'm joking. "My oldest daughter complains that people can't tell when I'm joking." So? There's never any guarantee that someone gets a joke. Although, the chances of someone being offended is nearing 100% these days. Friedman was tolerated like Hayek was. They both could be found espousing smaller government but with certain caveats and compromises. Therefore, if a political propaganda apparatus was going to promote certain people as the intellectual representatives of a political counter movement, who better than those who were shown promoting at least some parts of the government as necessary? Friedman especially, with his "fixed amount of annual inflation" idea, along with vouchers (theft and control), and tax withholding (convenient theft). Both brilliant men, but the state is less interested in brilliance than it is compliance. His fixed amount of annual inflation idea was one of the worst in American economic policy history, as well as his paper which was original in suggesting the "Wealth Effect" in his 1957 essay. He's brilliant, but North is essentially right.